These are our most requested programs. We offer full-day and overnight float trips in comfortable catarafts with seats. During our trips we float down the best stretches of world known rivers like the Chimehuín, Caleufu, Aluminé and Collón Cura reaching places otherwise not accessible. We are accompanied by a logistic raft which will be waiting for us at the campsite with the tents set up, drinks ready and a traditional asado on the way. 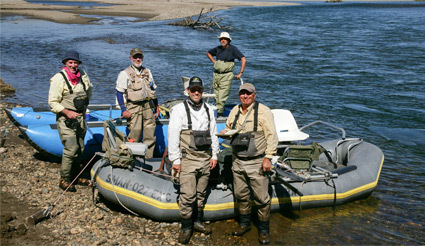 We suggest river floats during the whole fishing season. Take your time to take it all in! Perfectly picked fishing spots and fantastic sceneries. Get lost in the silence of a Patagonian night whilst you drink a good wine by a big fire. We guarantee an outing you will never forget! 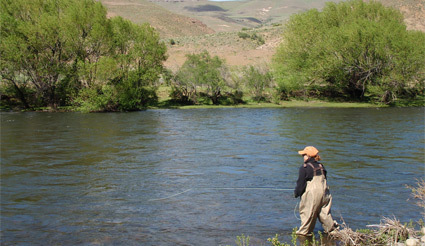 Traditional daylong wading trips and half-day wading trips are also available. 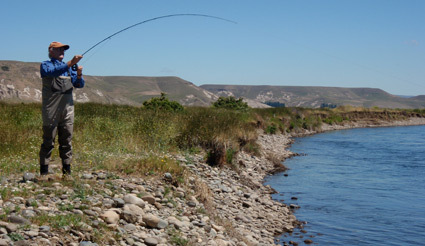 There is a great selection of perfect wading spots very close to town. Our typical destinations are: Quilquihue River (private access), the famous Chimehuín and Malleo Rivers, and Caleufu and Aluminé Rivers, depending on the water level. 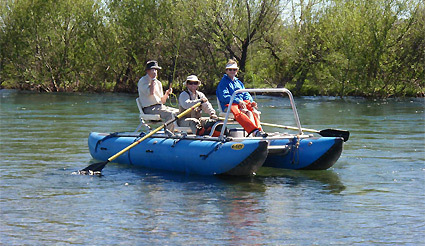 We will pick you up early in the morning with all the necessary equipment for a day out in the river. We usually take a simple picnic but if you tell us in advance we can organise an asado lunch. Get in the action trying to find the perfect wading spot, look for the racing fish and imitate the perfect hatch from your fly box!